This freeform liner pool was constructed at the back of our clients established garden. As soon as we had constructed the pool, a local landscape contractor moved in and created the tranquil surroundings that matched the rest of the garden. The pool is over 36’ long and 21’ wide. 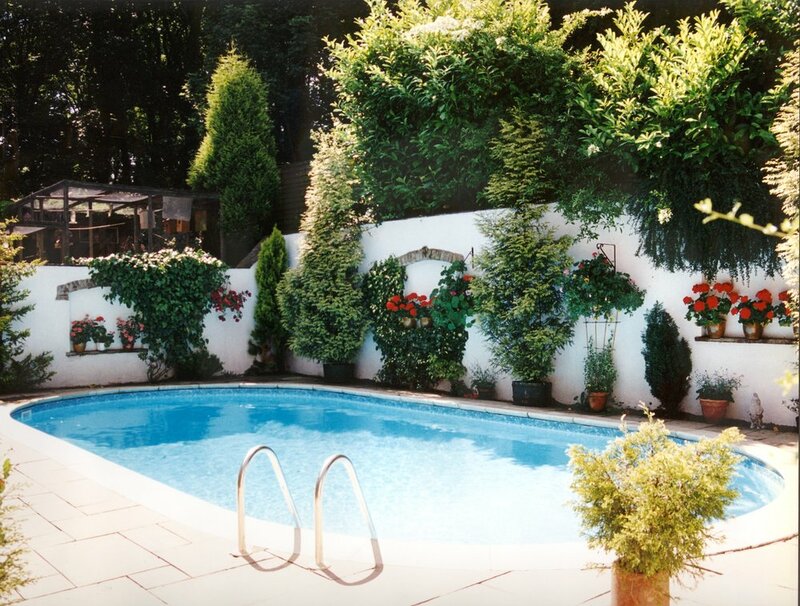 This kidney shaped liner pool was constructed as part of a major redesign at the back of our client’s home. The pool is over 10m long, and 5m wide. Unfortunately, we can’t take any credit for the beautiful terraced planting around the pool. This pool is set into the natural slope of the garden to provide maximum shelter and privacy. This allowed our clients to form two distinct sitting areas, one by the pool for sunbathing and a second at the raised level for outdoor dining. The pool is 9m long by 4.5m wide. We installed this 30’ x 17’ kidney shaped pool just after the house had been constructed. 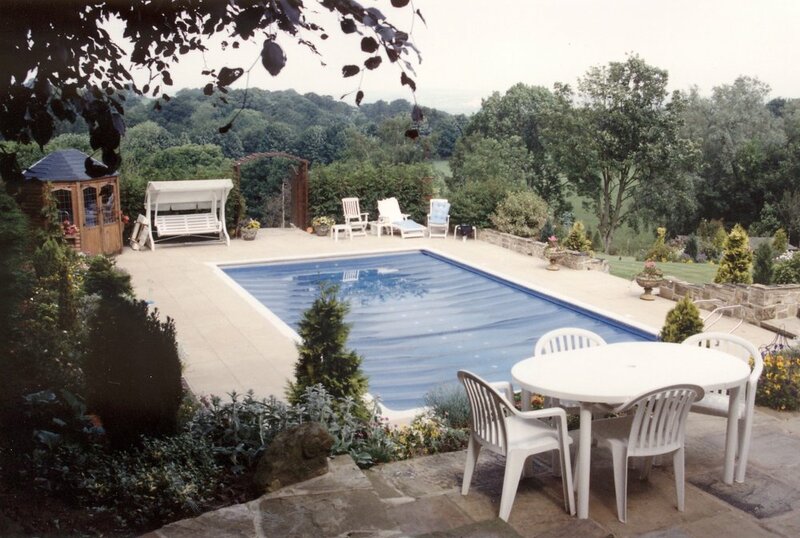 The installation of the pool at this early stage meant that there was no disruption to any landscaping, and that the garden could be designed around the pool. The pool plant is housed within the summerhouse, which was sited to be a focal point within the garden. This SPATA award winning 38’ x 16’ liner pool was set within a lawn area at the rear of the house to which it is linked by a large paved sitting area. Although the pool is set within a large open area careful planting of trees and shrubs ensure complete privacy. 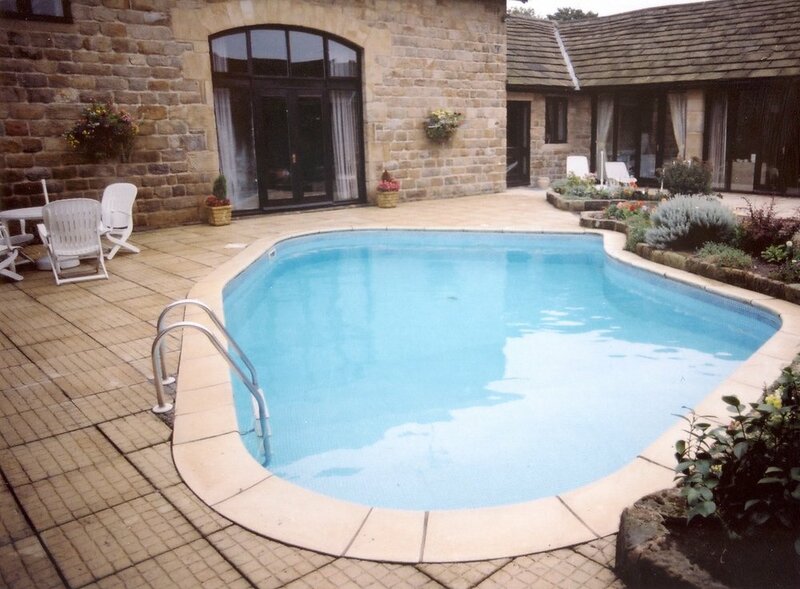 We constructed this 30’ x 15’ liner pool at our client’s new home at a luxury development in North Leeds. We softened the rectangular shape by forming cut off angled corners. The pool benefits from having walls and fencing across three sides forming a perfect relaxation area and suntrap. 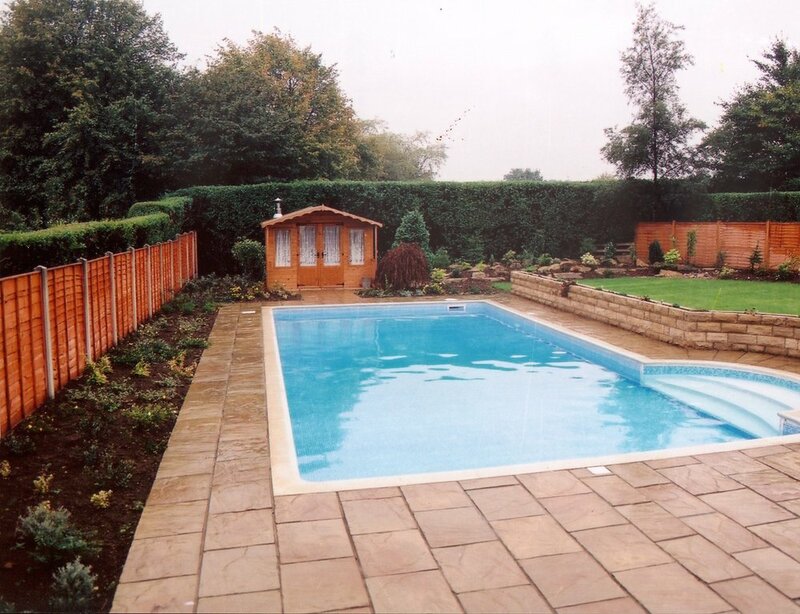 We installed this SPATA award winning liner pool as part of our client’s complete remodelling of the garden at their new home. The pool is 38’ long by 16’ wide and features semi-circular steps to one side. The pool was positioned to one side of the garden so that it did not dominate the view during the winter months. A summerhouse was sited beyond the pool to blend in with existing shrubs and the new landscaping. The summerhouse was divided up to form a changing and storage area at the front, with the plantroom at the rear with a separate entrance. This 32’ x 16’ freeform liner pool was constructed within a courtyard area viewed from living areas on all four sides. The pool was designed to be an all year round feature, which is enhanced by the sympathetic landscaping. 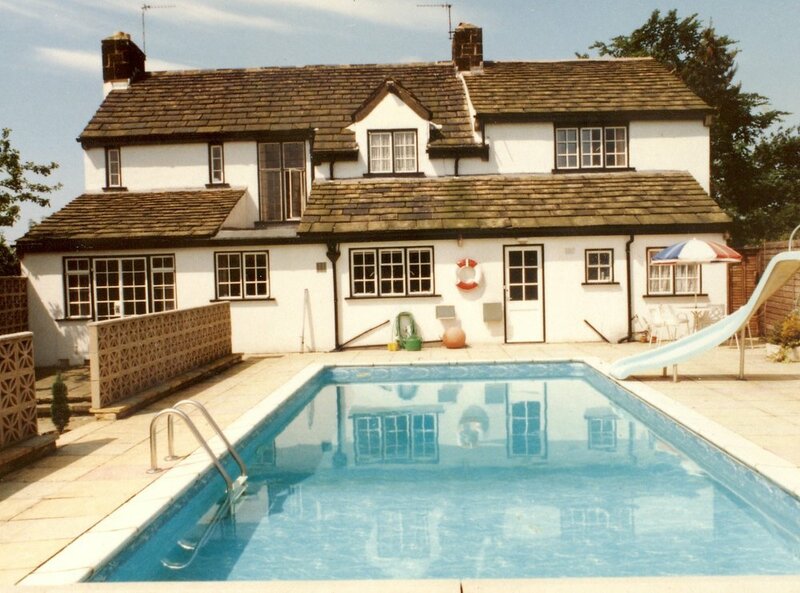 When our client moved into this house the existing pool was in rather a sorry state. The decision was made to replace the existing pool as part of a major redesign of the gardens. The 32’ by 18’ liner pool incorporates a motorised safety and heat retention cover that retracts at the push of a button into a housing beneath the paving at one end of the pool. The pool has walk-down corner steps built within the pool. The positioning of a pool, within a garden, can be crucial. In this instance, our clients wanted to make best use of the available sunlight by positioning the pool close to their house. In other instances, it may be better to have the pool away from the house. We are always pleased to offer advice regarding the ideal position. 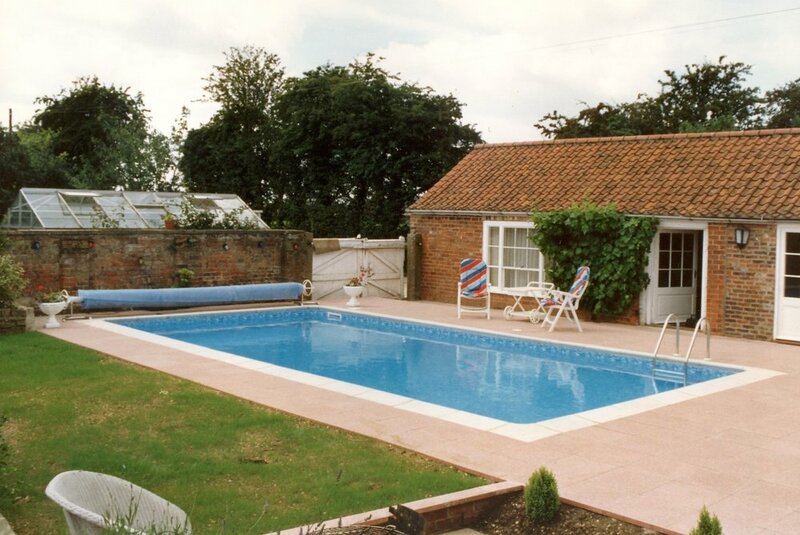 The area between the old garden wall and the existing outbuildings was an ideal spot for this outdoor liner pool. The outbuildings were converted to provide a garden room, changing areas and the plant room. The biggest challenge of this project was the construction of the retaining wall behind the pool. The neighbour’s garden is at the level of the top of the wall, and the construction work was completed while they were away on holiday. 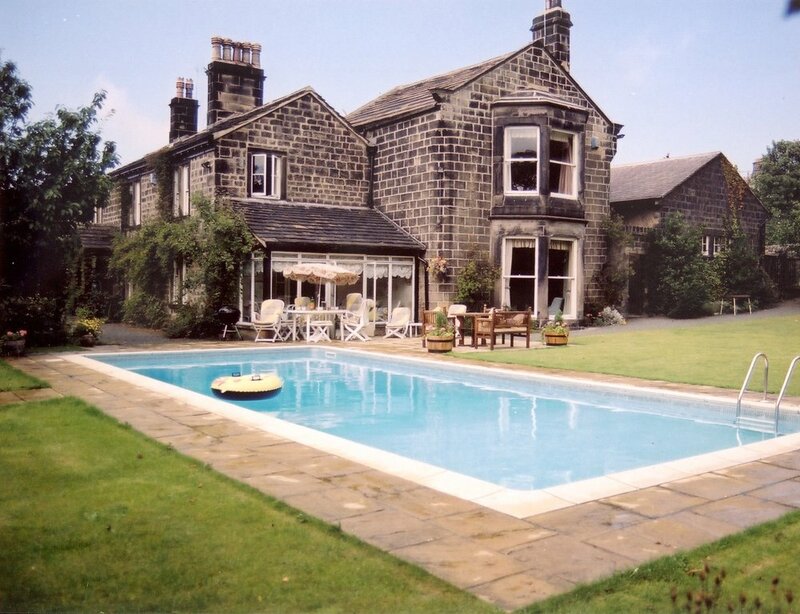 This project started out as a refurbishment of our client's existing pool. However, it soon became obvious that the only way we could fulfil their requirements would be to completely rebuild the pool. This allowed us alter the profile to provide the preferred water depths, and to incorporate a motorised safety cover system.